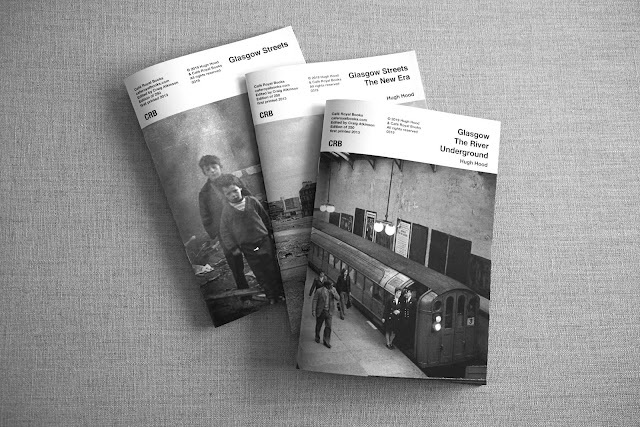 Glasgow 1974 from Hugh Hood on Vimeo. Saw your exhibition in the foyer of 103 Trongate and one image in particular brought back memories. I was a policewoman on the beat in Anderston from 1975 to 1980 and I used to visit J Guisti for cups of tea - a doss in polis parlance. I cannot for the life of my remember the name of the owner or his elderly mother who sat before an open fire but they were both lovely, lovely people. There was a photograph on the wall of his father and uncles resplendent with leather aprons and beards outside the original business premises at 328 St Vincent street. He was forced to leave the Dorset Street shop and set up shop in Breadalbane Street with his son and another guy - working by the end of the seventies or cornice repairs for the developing west end. along with a section of the Elgin Marbles and a wee bust of Handel for the sum of £22. I remember this sum as it was a whole weeks wages but I loved these items and greatly admired their maker. It has made me think of your other images. - other people will have tatts from Terrys and memories relating to the other images. Photographs can be such a catalyst for memories. Could be a research project! 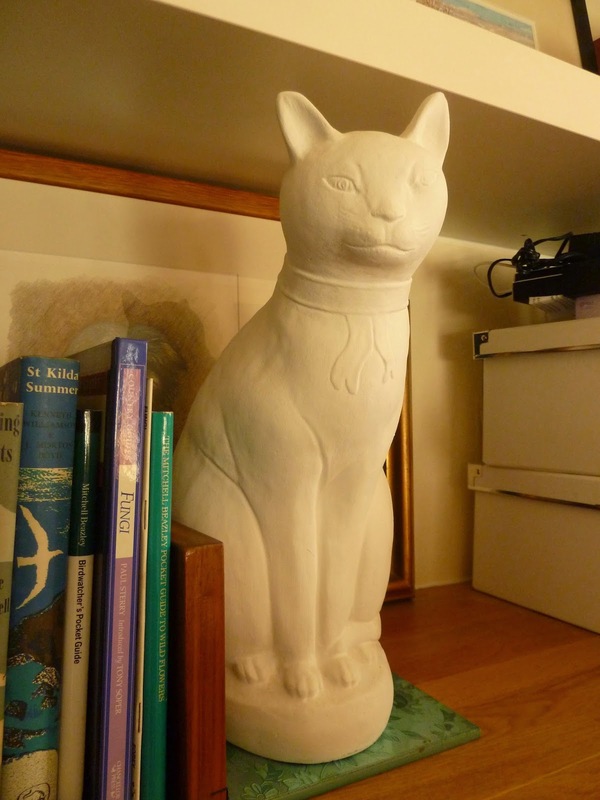 Have ordered a copy of the image and it will be placed beside the cat. Thanks for making that image. The following article was written by Allan Brown about my Glasgow 1974-78 photography. On a dusty shelf in the Mitchell Library's Glasgow Room, repository of three centuries' worth of dear green ephemera, stacked beside the Ordnance Survey maps of old Garngad and the local history pamphlets, sat a battered ring-bound folder. Taped to its front was a hand-written note explaining that within lay the photographs of one Hugh Hood. No further detail was tendered. The Glasgow Room's librarians knew nothing of him. But the contents of the folder spoke in their stead. Sheathed in polythene wallets were 50 or so monochrome photocopies, each a startling transmission from a city we'd sooner forget. Hood would go on to a successful career in commercial photography and documentary film-making in London and New York but in 1974 he was somewhere else entirely: Glasgow, or at least a rough draft of it. Six years later the city would undergo some kind of civic boil wash, by sandblasting what tenements could be salvaged and visualising a future where service industries supplanted heavy industry. Before it did, Hood captured the old Glasgow's death rattle, in a place that was less a city than a colosseum of disadvantage; dirty, broken and bedraggled. His remarkable record of this Glasgow lay forgotten for more than three decades. The photographer, who'd captured the images between lessons at the College of Building and Printing in the hope of getting an exhibition, boxed it up, stored it at the home of his brother and left it in the eighties to undertake a film course at the Polytechnic of Central London. In 2006, however, his brother chanced upon the box of negatives, and Hood bought a scanner and set about cataloguing the chaos of another time and place. Hood, now 60, put a selection on his website and sent the other 80 or so images to the Mitchell, hoping it would feature on the library's online database of Glasgow history. It was only last year Hood discovered his archive had been consigned to the shelves, tossed alongside the voters' rolls and the typewritten memoirs of veterinary life in Carmunnock. What the library overlooked was a time capsule of decay and dereliction, a remarkable account of a city sloughing off its old skin. Hood's Glasgow stood in stark contrast to the one presented by his best-known contemporary Oscar Marzaroli, whose cheerful, postcard-friendly work was full of cheeky, tow-headed boys playing football in the shadow of tower blocks. Instead, Hood was a photographic stalker, whose mute witness bore testimony to a city in the throes of tumult. "At the time," he says "the M8 was being built through the city, this huge trench was being carved through its heart. There was mammoth change everywhere you looked. I was only in my early twenties but it seemed obvious to me that this was an amazing visual story. I lived in Gibson Street. I needed to walk just half a mile and the story changed every day. But nobody cared. I spent years trying to get the stuff exhibited. It was all too raw, I think. It wasn't a story to Glasgow, it was a painful new chapter." Undaunted, Hood began a series of unplanned wanderings through the city, guided by the then unfashionable principles of street photography. "Most photographers would have thought me mad," he says now, "spending money on film just to take pictures of people hanging round on street corners! You were supposed to photograph architecture, not people." In the east, Hood found the Barras market. Here, a threadbare minstrel parades with an acoustic guitar, like the shabbiest Pied Piper on earth. From Bridgeton Cross, a Corporation bus drives by as though fleeing a crime scene. At Glasgow Cross, an old man sets up a gramophone horn outside the Krazy House clothes store in a doomed stab at showmanship. To paraphrase Keith Waterhouse, this was a city that looked as though it were helping police with their enquiries. Relevant here particularly was Hood's picture of Gerry's Snack Bar, a semi-condemned caravan parked on a scab of waste ground, offering resistible permutations of pies, beans and burgers, its macabre parody of the service industry intensified by a jaunty cartoon of a French chef. Pensioners stroll past the ailing Art Deco underground station at Bridge Street in the shadow of a scaffold-clad tower block. Altogether this is a lost world, shown without sentiment or nostalgia, rendered neutrally and naturalistically. There is nothing cute or huggable or wry. It all seems unutterably strange, primitive, as eccentric as a top-hatted Victorian on a tram. 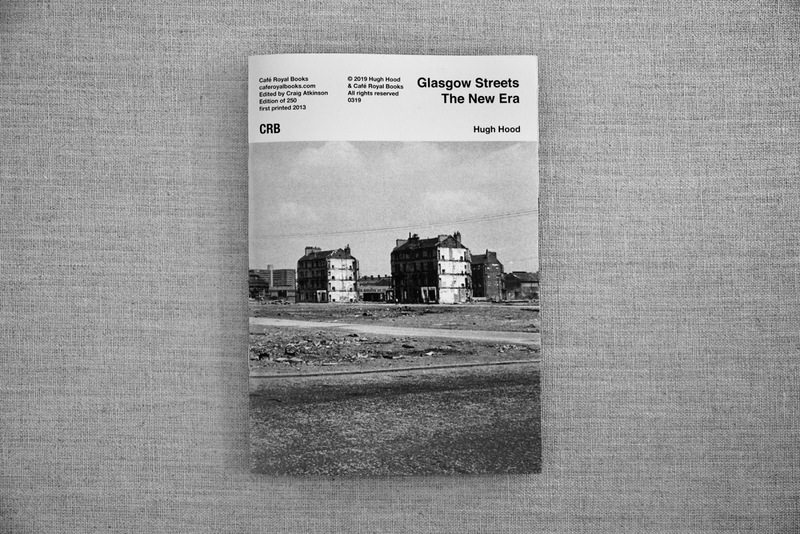 "Hugh's 1974 work is a remarkable body of images that chronicle a significant time of change in Glasgow urban geography," says Malcolm Dickson of Glasgow's Street Level Photoworks, who will next month stage Hood's cherished exhibition, four decades after the fact. "The slums are being cleared and coming down, the peripheral housing estates are being constructed. Much of the work is a document absent of people - that in itself tells something of the human condition at that juncture. The work populated with people has all the characteristics of documentary and street photography - it's objective, candid, intuitive and arresting. Many of the individual images are striking; the series as a whole, coherent and compelling." Every trope that makes up Glasgow's visual sense of self is present and correct in Hood's work: the tenements, the cheeky wee boys, the Gorbals back courts, the cranes on the river. Yet the work has no civic dimension, it contains nothing that is cherishably Glaswegian, nothing quaint or beguiling: no long-hairs queuing outside the Apollo or infants frolicking in Kelvingrove Park. There was no PR here, just frank and unblinking assessments of a vanquished city, awaiting the deliverance of some far-distant modern day, yet one in which ever-more conspicuous affluence sat uneasily alongside a new set of social problems. One shot in particular is instructive. A girl, maybe six years old, pushes a broom at the mouth of a tenement close. The viewer is reminded of a Joan Eardley painting, of a school of Glasgow images in which tousled, grinning kids serve as counterpoints to the pervasive dereliction and decay. In this kind of image Glasgow children are undaunted by the horrors around them for they are symbolic of a better future. Not here. Look closely at this picture and you notice that behind the girl is a bricked-up window upon which is scrawled the most offensive of epithets: in chalk, in a round childish hand. In Hugh Hood's Glasgow, nothing stayed clean for long. The damp was both physical and moral, and on the rise constantly. Or consider the Glasgow back court. Conventionally, these were depicted as grubby wonderlands, with kids swinging from washing lines and leaping from midden to midden. Again, not here. The back court Hood stumbled on was like a vision of hell, a bomb-site wasteland of shattered slate and scattered timber, of gutted prams and torn-up sofas - the square root of squalor. None of the enclosing tenements has windows intact, suggesting they were soon to be pulled down. Two little girls sift through the carnage, appraising their finds. In another shot, two boys appear through the haze of a bonfire. The sight is sinister, indistinct, pregnant with malevolence; the ultrasound of a Glasgow yet to be born. "That was the curious thing about Glasgow at that time," says Hood "It was a city ruled by children. You never saw a grown-up on the streets, just kids. No video games, no internet, higher employment, I suppose. "Back then, a camera was like a symbol of authority, you could go anywhere, do anything if you had a camera. Whereas now, you'll get set upon by two guys wearing hi-vis vests." 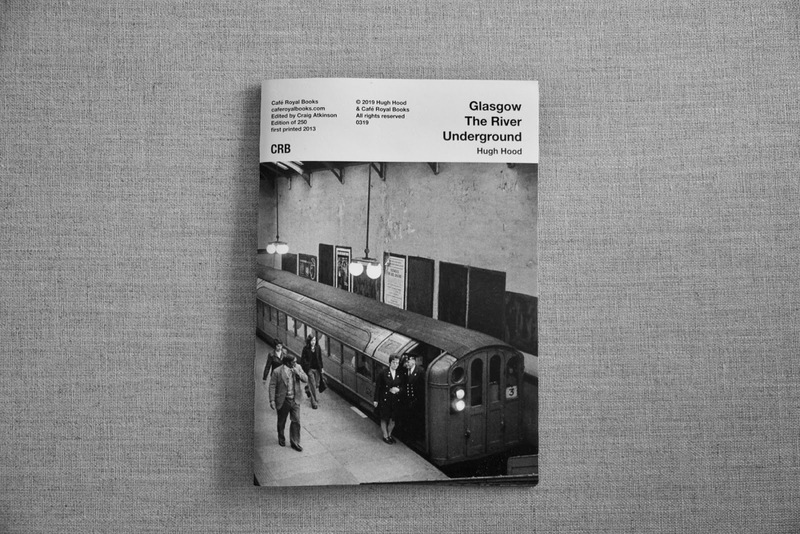 Another strain of Hood's seventies photography, the parallels between life on the River Clyde and the Glasgow Subway, is examined in a pamphlet of his work, Glasgow, The River Underground, newly published by acclaimed photography imprint Cafe Royale Books. "I'm interested in documenting aspects of recent social change in Britain," says Cafe Royale director Craig Atkinson. "Hugh's shots, apart from being great images, do document an element and time of change. 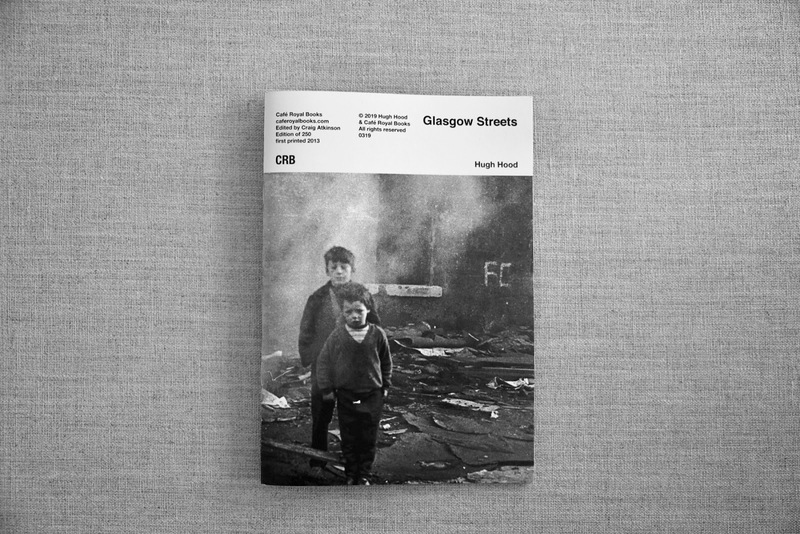 I'm working on a further two publications with Hugh, both Glasgow shots. They perhaps don't show any single specific thing as such, but they do show us an element of the everyday which we otherwise no longer have access to. To my mind work like this becomes more valuable as time passes in terms of a social, historical record. To put them in a small limited-edition book is a real pleasure." Next, between commercial assignments, Hood plans to revisit Glasgow and photograph what became of the locales he captured with such forensic sympathy in his seventies work. "Glasgow is a strange place, it's always had this self-destruct button," he reflects "The city's only constant is change." Hugh Hood is in discussion at Street Level Photoworks, 103 Trongate, Glasgow, on November 9, when his exhibition Glasgow 1974 opens. Glasgow, The River Underground is out now through Cafe Royale Books, priced £5.